If you have a blog, do you remember the first few months? I sure do. I remember feeling scared and excited all at once. I pondered for days what to write about me. Soon it became all about God and not about me. That’s how it’s supposed to be. Or at least that is true for this writer. I was nervous the first time I hit publish. I rechecked my status several times a day to see if anyone read my post. I waited eagerly for comments. I rejoiced when a star sparkled like from a reader. I felt worried that I wasn’t good enough when I didn’t have the number of views I expected. Yet, everyday since September 2014 I have had visitors. I’m learning to be faithful and obedient to God even when my views are low for the day. I was determined to make friends and visit my follower’s blogs and websites. My sin nature got in the way. At first I played the comparison game and I never measured up. I’ve discovered that there is always going to be a more experienced writer, there will be blogs that have more comments and more followers. It’s so easy to forget that it’s not about being popular or self promotion, This is all about bringing God the glory and hoping for lives to be saved. Now I desire to be God’s vessel for His light to shine through. I have developed new online friends who are now writing with me on this blog. I enjoy being connected. I give my best and I don’t worry about being perfect. It’s been fun and hard work. I am passionate about Me Too Moments For Moms and my love for my community is growing daily. We are a community that brags about how big and wonderful our God is. He is the King of kings. He is full of grace, mercy and compassion. God has directed me to provide a place for writers to share their testimony ministry, and blog site. I’m humbled that God trusts me to do this. I love organizing, scheduling, planning, edifying, preparing, and connecting with others. Dear Readers if you have a blog I would like to encourage you to do the same. Invite a new writer to guest post. Let your readers know about other blogs. When we do this we build community, spread God’s word, and bless others. 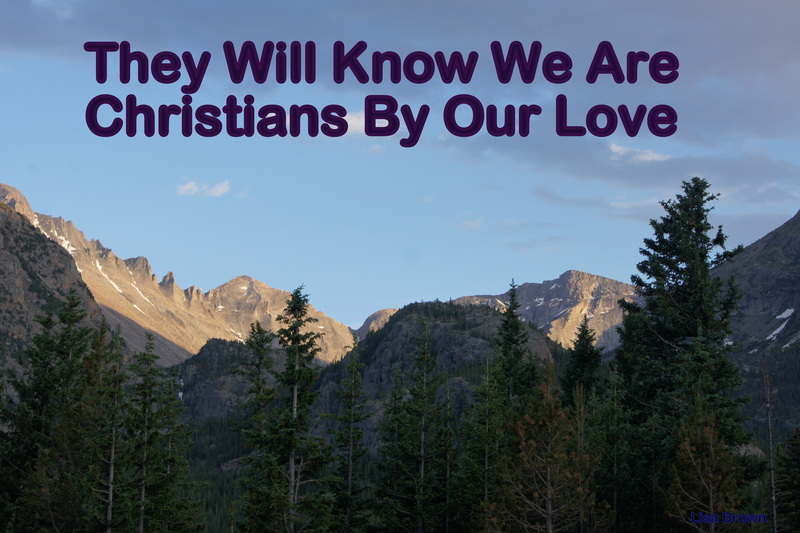 Readers will know we are Christians By Our Love For One Another. I have so many readers who are delighted to see a group of writers join me either through our Community Writing Group, a guest post, or participants in a Series. Readers see writers here on this blog joined together in love! In our community there is no competing with each other or promoting ourselves. We are in the world, but not of the world. Therefore we as Christians work together to spread the goods news. Please join us. Today I would like to introduce you to a new blogger who started her own blog this year June, 1. I love her dedication to give her full life to God by spreading His amazing grace through her words. Lets encourage our new friend in Christ who has a desire to share her story and God’s message. My name is Evonne Prince and on February 28, 2015, I married my best friend, a man I’d been engaged to 2 years ago. We are a unique because we are a blended family. I have a 6 year old son from my previous marriage and he is the absolute apple of our eye. In June, I started blogging (www.blendedbygod.blogspot.com) because it’s my passion and heart to encourage and bring hope to blended families. I have experienced more than I care to admit about the daily challenges which set blended families apart from biological families. Although we’ve only been married 4 months we’ve been together 4 years and during this time have experienced painful and trying moments that should have pulled us apart but instead drew us together. For starters, after my divorce, I kept moving right along in life fell in love and got engaged. Never once stopping to take a deep look inside myself at my true brokenness and didn’t realize I was only setting myself up for more disappointment. Due to circumstances beyond my control, my heart became overwhelmed with grief which forced me to listen to that still small voice inside, telling me I wasn’t ready to remarry. I called off my wedding and chose to listen to God and seek his will for my life which I had previously ignored but first I needed healing. Anger and guilt were my two biggest areas I needed to surrender to God if I ever wanted to be emotionally free. At first I didn’t recognize it as I had consumed myself with work, school, my son, and my new found love. Instead of taking the time to properly heal from my divorce or seek GOD about it, I simply put a Band-Aid over it to not expose my wound. What I should have been doing was looking inward at all my discontentment and unhappiness in lieu of what my outward appearance looked like which was happy. God showed me it was okay to be angry because it’s a sign of our human nature and that it’s not wrong as long as we respond to it correctly. Ephesians 4:31 states “Get rid of all bitterness, rage and anger, brawling and slander, along with every form of malice.” I never addressed my anger from the divorce and it took root in my heart, causing me to blame others for my own faults and unhappiness, when I should have given it to God and allowed him to heal my hurt. I must have asked myself a thousand times the same questions. What could I have done better? What was my fault in the marriage? Where did I go wrong? 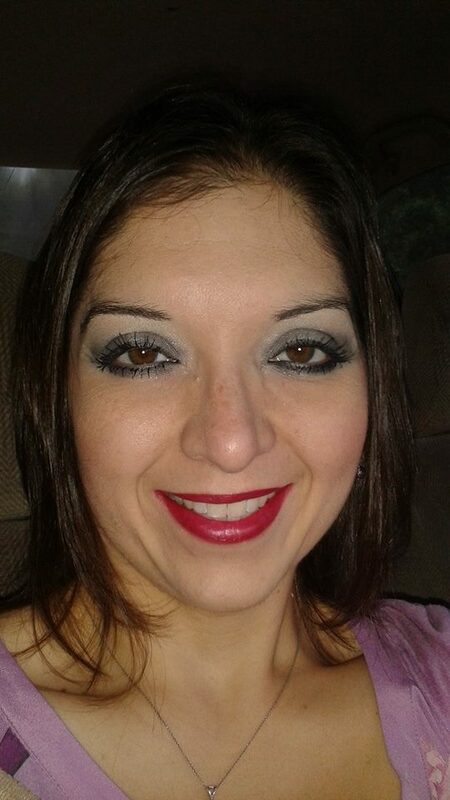 What do others think of me? Does God still love me? How could I move past this, how could GOD ever use me now? The answer to all these questions is God’s grace and forgiveness. Psalms 32:5 states “Then I acknowledged my sin to you and did not cover up my iniquity. I said, I will confess my transgressions to the Lord and you will forgive the guilt of my sin.” You see God loves us so much and his love is unconditional. The healing process was a painful journey in which I had to allow God to do a deep cleaning of my heart. Surrendering total control of my life to God was necessary in order for him to work in and through me. It has been amazing to draw close to him and let my creator love me and I wonder why I ever held back. All this time I thought I could do it in my own strength but I couldn’t have been further from the truth. In our weakness his strength is made perfect. God has given me such a peace and healed my broken heart revealing that if I trust him completely, he will turn my sorrow into joy. I’m so thankful for Gods unconditional love and mercy. He restored me and healed my deep rooted wounds and spoke his truth to my heart. Soon after we married we made adjustments professionally to accommodate our newly blended family which has allowed us to focus on building our family foundation centered on God. It’s my belief and experience with God all things are possible. Change is difficult for anyone, however, for a child even more. We prayed earnestly about our decision and felt the change would offer great support to my son, providing him emotional stability but most importantly allow him the greatest opportunity to experience the presence of a healthy home surrounded by Gods MERCY and LOVE. One of the biggest challenges we’ve encountered thus far is differences in our parenting styles. It’s a daily reminder of the importance in keeping our foundation built on Gods promises and truth as a blended family. We strongly believe with God at the center we can only “fail forward”, meaning growing and accepting who we are as individuals, parents, and becoming a stronger family united and blended by God’s grace. Too often we try to do things in our own strength but as we’ve experienced, apart from God we can do nothing. There is no doubt in my mind my journey was necessary in order to be the godly wife God created me to be in our marriage. God has joined us together to be used for his glory and given us a powerful testimony to encourage others. The daily challenges we face as a blended family are not always easy but the joy we share in living lives totally surrendered to God is priceless. My prayer is you’ve been encouraged knowing God has you covered. His plans are better than anything we could ever think of on our own and by his grace we are victors!! Thank-you, Evonne, for sharing your testimony of God’s grace and mercy at work in your life. You have a message of hope and healing that many will benefit from hearing.